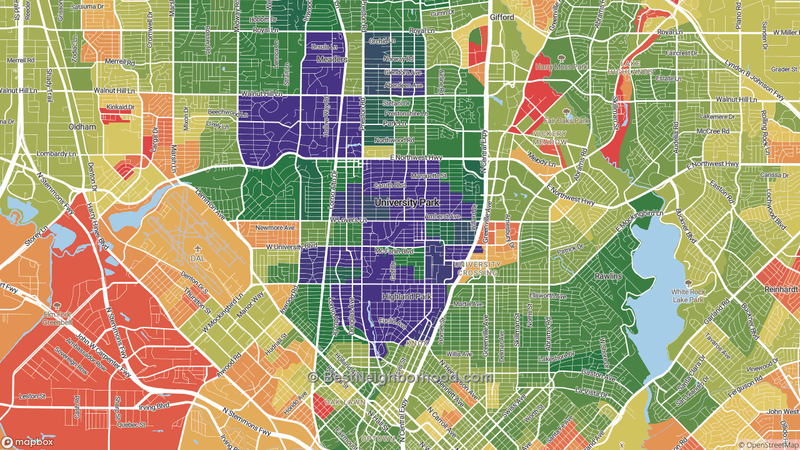 The map above shows median home prices by block for University Park and surrounding areas such as Dallas and Highland Park. These are the best neighborhoods as judged by the market: the places people most want to live. While these areas tend to have lower crime rates and quality, it is primarily a map of the best areas by median home value in University Park, TX. Median house prices in University Park, TX are $1401491, meaning University Park homes are much more expensive than the US median. Compared to a city sampling of places with similar populations, homes cost more. The chart below shows University Park home prices compared to the United States average and locations with similar populations such as Owosso, MI. In regards to housing disparity, the quality of neighborhood within University Park varies significantly.